When someone presses your doorbell, it sends a notification to your mobile device, and you click to view a real-time video feed. With the press of a button, you can now speak to whoever is on your doorstep and listen to what they have to say. In addition to being able to view the doorbell camera anytime you want, you can also record clips to view later. Record not only when someone presses the button, but also whenever there is motion by the door. You choose yes or no, you adjust the sensitivity, and you choose if and how you want to be notified. No need to fiddle with installing your new doorbell camera. Our licensed, background checked technicians will make sure your doorbell is looking good and working great. Whether you choose brushed nickel or oiled bronze, slimline tall or perfectly round, our doorbell camera will be a beautiful addition to your home. 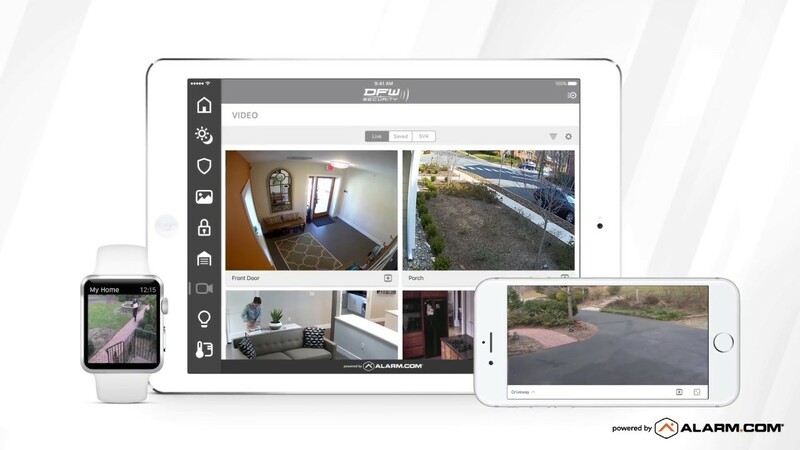 Don’t settle for a doorbell camera with a separate App. Get one that fully integrates with your alarm system and home automation devices. Not only can you see and talk to a visitor, but you can lock or unlock your door and arm or disarm your security system at the same time, from the same screen. It is easy to set up your personal notification preferences. Whether you choose Push Notifications or Text Messages, you will know right away when someone rings your doorbell. Better yet, you can be notified every time there is motion if you’d like. Know instantly when a package has arrived, even if the delivery service doesn’t ring your doorbell. Don’t worry, you can set a schedule for notifications to avoid unwanted interruptions at certain times of day or night. Sure you can buy your doorbell camera on the internet, but do you really want to install it yourself? Why not let our licensed installers take care of everything for you? We will mount the doorbell, connect it to your smart hub, program the communication, set up your mobile app and show you how to personalize it exactly how you want it. Easy peasy!